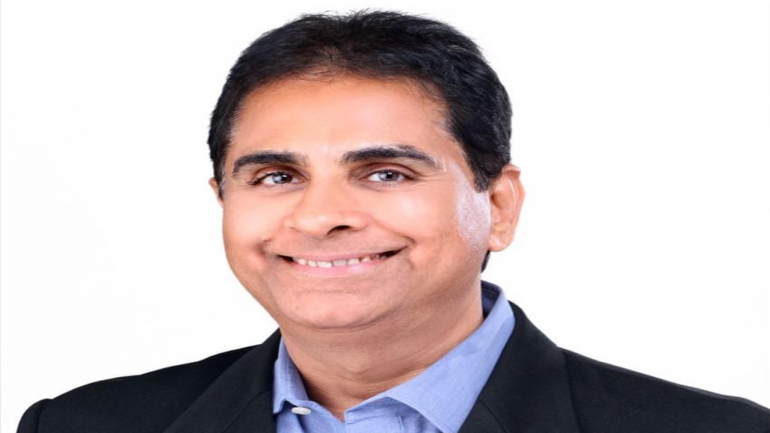 Instead of investing in markets or stocks, if you are investing in a company that would mean that your vision is at least for the medium-term, and your vision, as well as time horizon, will grow with the company, Vijay Kedia, MD, Kedia Securities, said in an interview with Moneycontrol’s Kshitij Anand. Q: From the bountiful year of 2017 to momentum fizzling in 2018 to an equally dormant 2019 till now, what really happened in this span of these three or four years? A: Actually, this is what we have read in childhood that excess of everything is bad. So, this is what is happening in the markets. We drank too much in 2017, and the hangover is yet to end. But, this is not happening for the first time. In 2017 as well as in 2018, there was so much of euphoria in the market that people forgot what should be the PE ratio and, hence, the fair value of their stock. What people remembered was that if you buy today and sell after 15 days, they can get 10-20 percent returns. The number of multibaggers was reduced to a single digit in 2018 compared to what we saw in 2017. So, we can say hardly 5-10 percent of the shares multiplied or carried momentum in 2018. One has to be very selective and at the same time cautious. Please remember investing is a very risky business. Even if everything is in order, related to the financials of the stock, chances are that things may go wrong due to external factors. So, I think after the euphoria of 2017, it looks like that the market is now correcting itself. But, the good part is that most of the correction is already over for the market. At the same time, there is a possibility that some of the pockets will still correct. But, more or less, I think that the correction is over. That is what I could say about my stocks. Q: Do you think the investors should really worry about who would come at the Centre after the general elections? A: I do not worry about elections, because this is an external event which you don’t have any control and thus investors should also not worry about it. If you keep doing the right things in terms of your investment, the health of your portfolio should be fine. See, the elections come and go. Every year there are some elections, so why do you want to gamble with your health by worrying about elections? Data say that for the last 30 years, India's GDP has always grown 5 percent plus irrespective of the government at the centre. So, this tells us that India is in an auto-mode. If any good government comes, the GDP may grow 7 percent or 8 percent. Even if the government is not-so-good (coalition), even then India has grown by about 5 percent. So, I am not actually worried about the outcome of the elections. I am very comfortable with all the investments I have made. I am very sure that in a given time, they will show me good results. Q: You talk about "smile", apart from this there is also a concept of "Chinese Bamboo tree". Can you throw some more light on it? A: According to me, these investment styles are relevant at all times. These concepts do not change with time. Of course, I am following the principle of "SMiLE", which is "Small in size, Medium in experience, Large in aspiration and Extra-large market potential". I am certainly following that and whatever investments I have done, you will know that the flavour "smile" applies to all my investments. But, one very important thing every investor must understand that until and unless your buying price is cheap, you will not succeed in this market. The reason you feel the pain in this market is because if you have made any investment in 2018, or in late 2018 then you are in loss. But, if you have made investments in the year 2016 or maybe an early part of 2017, then even after this fall of 20-50 percent you are above your cost-price. So that gives me good sleep. Alteast I am not losing my money. My principal is still intact. Whatever money I was making in 2018, today, according to that price, I am losing. But, that is not the way to calculate your returns in the stock market. Q: What is the definition of a good return? A: Well, you cannot calculate returns on a year or 2-year basis if you are long-term investors. In a bull market, it is not given that the stock will multiply every year. Even 15 percent, 10 percent or 5 percent market returns for some years can be called a bull market. In one year, you may double your stock; then maybe for the next 2 years, you will get just 5 percent returns or maybe no returns at all which is also good. So, that is also a bull market. Q: You also recently introduced a concept known as bhangar-cap. So, what exactly is bhangar-cap all about and how should investors avoid getting trapped in these bhangar-caps stocks? A: Bhangar-cap simply means penny stocks. But, not necessarily all penny stocks are bhangar-caps. Remember, all mid, smallcaps are not bhangar-caps. Yes, I have noticed that there are a number of stocks around 2,000-4,000 stocks that rise only in the bull market, and when the bull market gets over, these stocks also come down along with the market. And, we have noticed that there are some stocks where the company is not growing, only the PE multiple is growing in a bull market. Just because the market is euphoric, these stocks multiply or they get better evaluations. When euphoria in the market dies down, the stock price and valuation also come down from 15x to 5x or 6x. I call these stocks also bhangar-caps, which have a very limited scope/side of growing. A: Multiples are elevated, but that happens only in one season and that is in a bull market. Not only earnings even the top-line is also not growing which should be your first clue, because the size of the company is not growing. So, those companies are actually in trouble. Q: What is your advice to first-time investors? A: Investing is a 24x7 business and it can’t be your part-time job. If you have a job then the best way to make money is you invest in markets via mutual funds. For new investors and for small investors, this is the clear-cut message, please do not invest in the markets directly. You are playing with fire. You cannot make money without experience, or without failing in this market you cannot pass in this market. This is well written on the wall. The new investors should start their career with mutual funds. Then side-by-side they should keep on learning which might take 3-5 years. Once you have gained enough experience, investors should think of investing directly in the markets. Because, as I said earlier, this is a very risky business and you cannot predict the markets. Q: In one of your ted-talks you mentioned, "Success is a series of accidents". How many accidents did you experience, before you got the success formula right? A: Oh, I do not remember how many accidents. Even today, I am facing accidents. Accidents come in one form or another. So yeah, that's the process of life. You have to learn from your mistakes and the idea is not to repeat the same mistakes again. If you have not failed in the stock markets then you are in the danger zone. Success and accidents are like two sides of the coin of the stock market. Q: You have a knack of spotting good stocks that give higher returns or generate wealth for investors. What are the key parameters for retail investors or new investors, who want to invest in the stock market for the first time? A: First-time investors should stick with mutual funds. I think the government should ban new investors coming and investing directly into the market, otherwise, you are just ruining your wealth. For direct investing, my principles and fundamentals are very simple. Buy stocks that are actually very cheap, and do not look at the market. I have another concept as well. Either you are investing in the markets or you are investing in the stocks or you are investing in the company. Now-a-day, I am attuning my mind that neither I am investing in the markets, nor I am investing in the stocks, but I am actually investing in the company. If I am investing in the company, this thought process only will change the way you think. If you are investing in a company that means your vision is at least for the medium-term. If you are investing in the company then your vision will grow with the company. See, the idea of choosing 'investing' as a career is to become stress-free. But, if you become a short-term or medium-term investor, that you become at the cost of your health and happiness. Q: There are so many domestic and external factors impacting the markets, should investors be cautious? A" When you mentioned the word "cautious", again it depends on what is the horizon of your investment. If you are invested only for one year then you have to be very cautious. But, if you are invested in the company then your horizon is about 10 years. In that case, you do not have to be cautious. Let the management of the company be worried about all your investments. Why are you worried? There is another quote from my side: "Buy like a bull, sit like a bear and watch like an eagle". So, for me after investing, the only work that is left is to watch my companies. Whatever development is going on in India or in the world, whether my company is going to be affected—that is the only job which I am left with after investing. I am watching all the development that is taking place in India very closely. That's it. This is the approach I have.